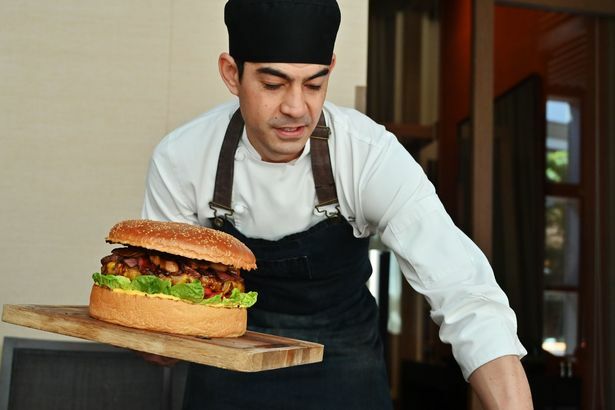 The Oak Door Steakhouse at the Grand Hyatt in Tokyo, Japan has added a 'Golden Burger' to their menu... 'Golden' in the literal sense! If your mouth isn't watering already, the cost of this beauty, will set you back a cool JP¥ 100,000 (or almost US$800). Get your mouth around that! 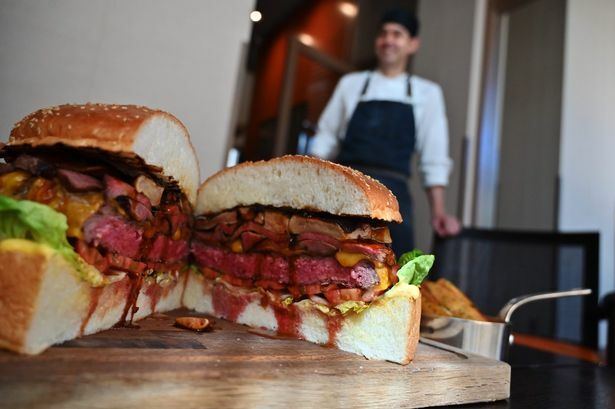 Chef Patrick Shimada has invented the impressive Giant Burger utilizing some pretty amazing ingredients. His indulgent creation will be served on their menu until June. 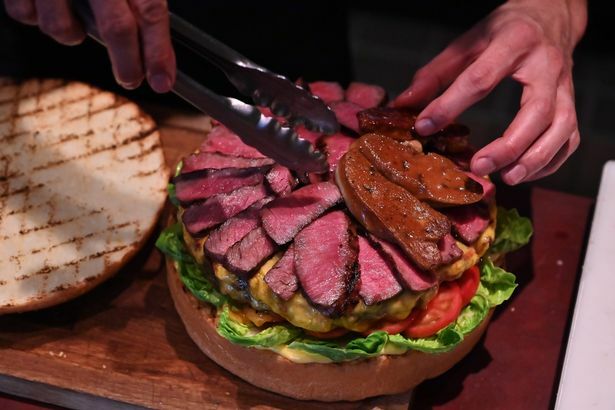 The Oak Door Steakhouse is in Tokyo's Roppongi district and their latest menu item includes a 1kg patty, Wagyu beef slices, foie gras and black truffles, sandwiched between two golden-dusted buns. 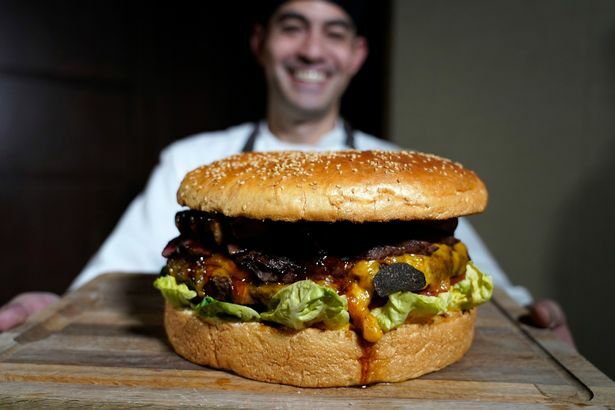 The bun is six inches wide and 10 inches tall - try and get you mouth around that!! The Golden Burger was created to celebrate the crowning of the new Japanese emperor, Crown Prince Naruhito. Let these indulgent burgers be the perfect choice for celebration! Patrick states on the restaurant's website: "As a fourth-generation Japanese, I am honored to witness this exciting time of change in Imperial era while working in Japan... While I was thinking how I could contribute to this once-in-a-life-time opportunity, I came up with this idea of Golden Giant Burger". "In celebration of this special occasion in Japan, we consider using gold as a traditional ingredient to present this burger for the enjoyment of our dearest guests." Oh - in case you are just traveling through Tokyo and want to indulge in this delectable feast, make sure you book in advance - the restaurant requires that orders are placed at least three days in advance.